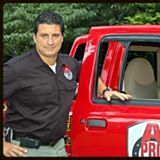 A-Pro Certified Home Inspection Services, located on Long Island, is entirely dedicated to serving our clients. Whether potential or current homeowners, our customers receive thorough assessments from licensed and insured inspectors. Offering everything from free phone consultations to flexible scheduling, A-Pro supports homeowners through and through. Once you’re a client, you’re a client for life. Call us at (516) 524-0673 toschedule an inspection or to ask us more about our residential or commercial inspection services. Prompt Customer Service – Don’t worry about straight-to-voicemail messages or playing phone tag with A-Pro. When you give us a call, you can expect quick, professional service. Home Owners Network – Our inspections include free memberships to the Home Owners Network, technical support to help you relax and enjoy your home, and a series of other supporting resources. HON comes with an exclusive “Right Answers, Right Away” application. Blaise Ingrisano is being interviewed by Preston Sandlin of Home Inspection Carolina and Ask the Charlotte Inspector. Dream Home or Money Pit? When you find the “Right House”, the last thing you need is to end up closing on the money pit. What you do need is the peace of mind knowing that even though your house is not perfect (no house is), you are educated about what you are getting. Buying a home can be full of tough choices. One thing that should not do is to buy a house blindly. You need an inspector who is looking out for you. Shopping for an inspector by the cost of the inspection can produce a very painful lesson. Think what would happen if you hire the wrong inspector. What happens if the inspector is not experienced or is just interested in how fast they can get paid and move onto the next inspection? You’ll be stuck with the costs to fix anything they miss. First House or Dream House? It doesn’t matter! Either way, you will learn a lot about your home during the inspection. Plus, you will receive a free manual on “How To Operate Your Home” as my gift to you! This useful manual is over 350 pages long and includes more than 400 pictures. 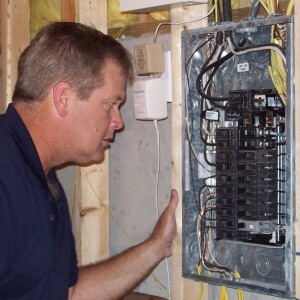 How Can you Avoid Hiring the Wrong Home Inspector? Do not make a huge mistake and hire the wrong inspector, one who misses items that cost you dearly. Before you hire an inspector, request my report Seven Things You Must Know To Avoid Hiring The Wrong Home Inspector. Don’t gamble – know before you hire your inspector! Get your free report now! My goal is to make the Home Inspection process easy and to educate you about the house you’re buying. Allan Davis is being interviewed by Preston Sandlin of Home Inspection Carolina and Ask the Charlotte Inspector.